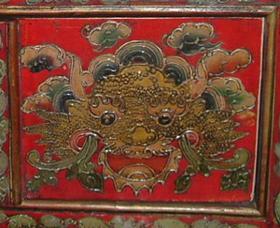 Everything you might need, including portable altars, vases, rice pots, offering bowls, butter lamps, mandala offering sets, incense and incense burners, conch shells, meditation cushions, altar and statue cloths, bell and dorje covers, katas, musical instruments, auspicious symbols, offering statues designed by monks, and handmade Tibetan altar boxes. 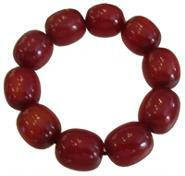 We carry a large variety of malas (108 beads, 111 beads and wrist malas) and mala bags, counters, and spacers. 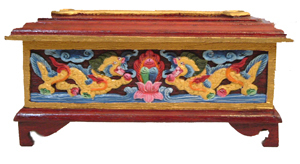 Carefully handcrafted and painted, our furniture is made by Tibetan refugees in India. 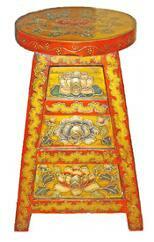 Many of these pieces of furniture are suitable for use as altars. Our selection includes water pashminas, cashminas, shawls with long life symbols, dragons and snow lions, and raw silk monks’ shawls, blankets, and decorative throws – in wonderful colors from the central outdoor market in Lhasa, Tibet. 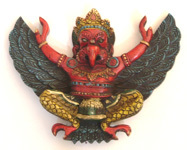 Our range includes auspicious symbols, carved OMs, dragons, Garuda and protectors, wall hangings and Tibetan ritual and dance masks. 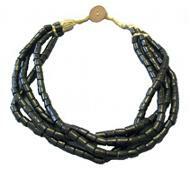 Among the many beautiful items we carry are Nepali hand woven and recycled sari silk yarn, door covers, garden hangers with poles, handcrafted Himalayan soap, handmade felt ornaments and puppets, Tibetan boot stockings, brocade purses, handmade paper products, pillow covers, placemat sets, silk scarves, wall hangings and organizers, Tibetan games and coins, Tibetan cookbooks, wax seals, and wood stamps. 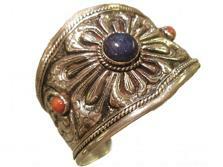 Blue Lotus Trading offers a large selection of jewelry in sterling silver, Tibetan silver, and gold, featuring traditional gemstones such as turquoise, coral, lapis lazuli, conch, shell, and amber, along with other gems. 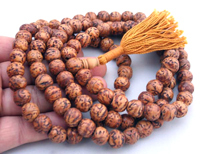 Our jewelry includes ethnic Tibetan and Himalayan styles; gau (portable alters, prayer boxes, amulets in various sizes) and Tibetan and Himalayan beads. 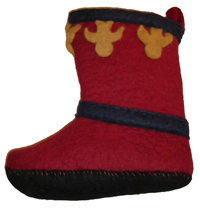 Handcrafted using traditional techniques and including sacred symbols, traditional and contemporary styles and designs. 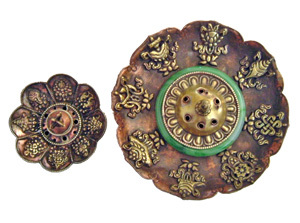 Blue Lotus Trading has interesting and unique vintage and antique items from Tibet and the Himalayas. Please contact us if you are interested in learning more about them or seeing them. 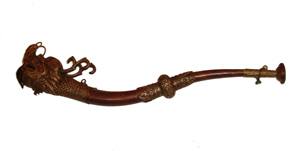 See more of our treasures in the Gallery.